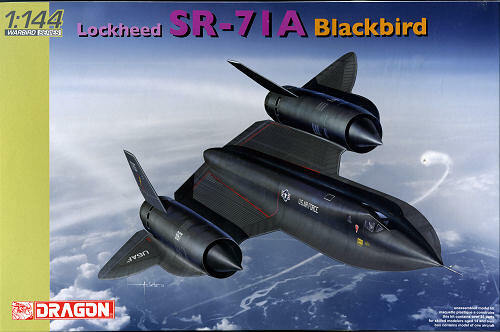 The Lockheed SR-71 "Blackbird" was an advanced, long-range, Mach 3+ strategic reconnaissance aircraft. 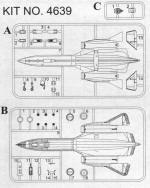 It was developed as a black project from the Lockheed A-12 reconnaissance aircraft in the 1960s by the Lockheed Skunk Works. Clarence "Kelly" Johnson was responsible for many of the design's innovative concepts. During reconnaissance missions the SR-71 operated at high speeds and altitudes to allow it to outrace threats. If a surface-to-air missile launch was detected, the standard evasive action was simply to accelerate and outrun the missile. Nice to see this one released. The only other SR-71 done in this scale was by LS and while it made a fine model, it has been very difficult to find in the last several decades. This new tool kit effectively replaces that one with a level better of surface detail. It is not a kit that has an extensive number of parts. 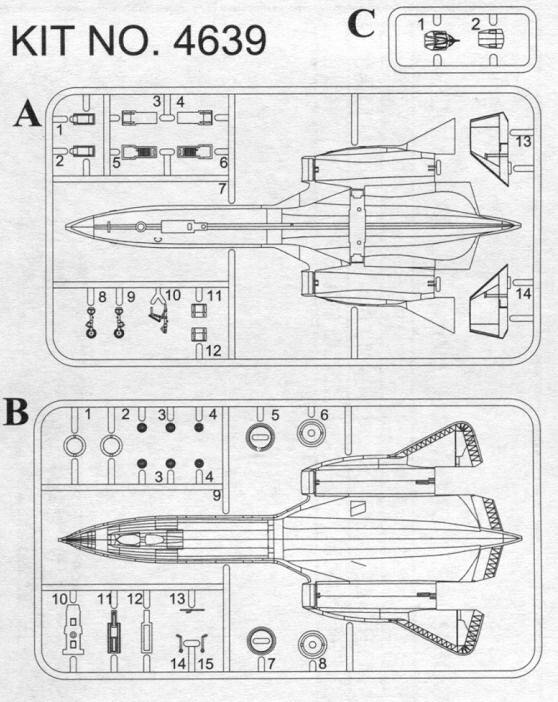 The fuselage and wings are simply a top and bottom into which one simply installs the one piece cockpit prior to assembling the halves. This cockpit is not very detailed, but little will be seen through the small windows. All of the rest of the parts attach to the outside, including the engine inlets, landing gear, fins and exhaust. Landing gear are well molded with the main gear having the central wheel molded to the strut. You can build this one wheels up if you wish as inserts are provided for raised gear. You will, however, have to construct your own display stand as none is provided. Instructions are a small sheet of paper with the three construction steps on one side and decal placement on the other. 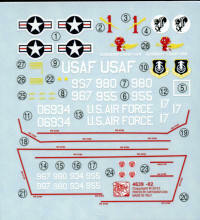 You can build any one of four aircraft with this kit, each having a distinctive tail badge. The serial numbers are pieced together with what is on the sheet. Decals themselves are well done and will need setting solution to snuggle down into the many corrugations that were typical of the airframe. The aircraft can be painted any color as long as it is black. Many will add a tinge of blue to it as there are comments that at times it looked a bit on the blue side of black. The SR-71 has always sold well in kit form and I expect this one to do no less. Even more so as it will not take up all that much shelf space, measuring about nine inches in length. No matter how you display it, it will be a very nice model when done.